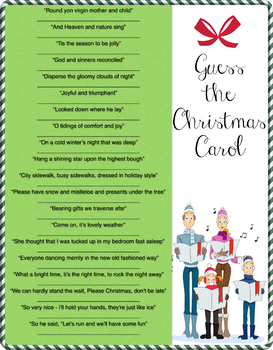 20 Different phrases from popular Christmas Carols - Guess the Title of the Song. You can time people and the first person to turn in their sheet with all of them correct, wins! If you would like to add or change the different phrases to customize to your party, please let us know and we can make the changes. You can also find some of the songs and play them in the classroom!